What's the best diet for health and fitness? A growing body of research indicates that for the vast majority of people, it consists of foods similar to those consumed by our stone age ancestors, also known as a paleolithic diet or paleo diet. We call it the True Human Diet or Ancestral Diet. What's A True Human Diet? Our ancestors ate these foods for millions of years before people started practicing agriculture, and the human digestive system is very well adapted to them. The optimal proportion of plant foods and meat in ancestral diet for any individual depends on his or her condition and goals. However, humans are best adapted to a carnivorous diet, with minimal carbohydrate. Humans evolved during the past 1.8 million years, during which the Earth was in an Ice Age, which is like a prolonged winter. During this period of time, known as the Pleistocene, and up to just about 11, 000 years ago, the Earth was largely covered with glaciers. The cold climate limited the growth of most plants, but grasses, large grass-eating animals such as mammoths and rhinos, and hunters of those grass-eating animals – such as wolves, foxes, and humans were able to thrive. Archaeological research has shown that the stone age ancestors of modern Europeans were eating a diet that was at least 80% animal food. Our ancestors were top predators, as far back as 2 million years ago. "Ancient humans used complex hunting techniques to ambush and kill antelopes, gazelles, wildebeest and other large animals at least two million years ago. The discovery – made by anthropologist Professor Henry Bunn of Wisconsin University – pushes back the definitive date for the beginning of systematic human hunting by hundreds of thousands of years." 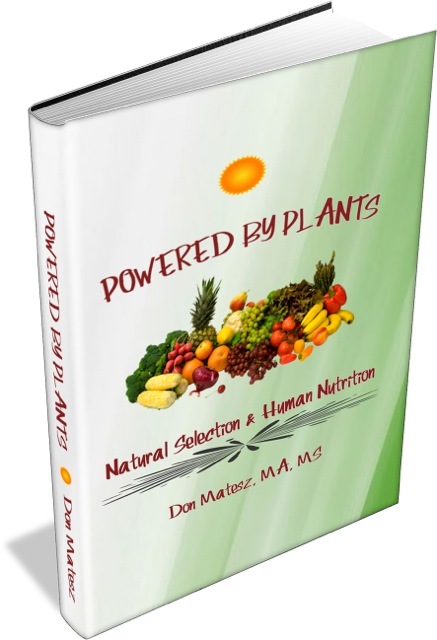 Since plant foods were scarce during this time, our ancestors ate low or very low high carbohydrate diets. Natural selection molded humanity into a carnivorous species that does not tolerate diets high in carbohydrate. "Unlike skeletal muscle, heart muscle functions almost exclusively aerobically, as evidenced by the density of mitochondria in heart muscle. Moreover, the heart has virtually no glycogen reserves. Fatty acids are the heart's main source of fuel, although ketone bodies as well as lactate can serve as fuel for heart muscle. In fact, heart muscle consumes acetoacetate [a ketone] in preference to glucose." "Rather, muscle retains glucose, its preferred fuel for bursts of activity...The metabolic pattern of resting muscle is quite different. In resting muscle, fatty acids are the major fuel, meeting 85% of the energy needs." Excess dietary glucose damages the body tissues by generating free radicals and inflammation, and high carbohydrate foods can damage the blood vessels. In contrast, a high fat, low carbohydrate, ketogenic diet reduces inflammation. A ketogenic diet also has been shown to reverse diabetic kidney disease. A growing body of scientific evidence indicates that these agricultural and processed foods promote overweight and diseases linked to overweight, including diabetes, cardiovascular disease, and some cancers. In the best diet, these foods are consumed only in limited amounts or not at all. What about whole grains? If you consume cereals and legumes, it is best to consume them in their least refined forms, such as whole grain bread, brown rice, and so on. Research shows that people who consume whole grains have better health than those who consume refined grains, partly due to beneficial aspects of whole grains, partially due to the fact that people who eat whole grains also are more likely to exercise regularly, maintain healthy body weights, avoid smoking, and have higher incomes. What Makes This The Best Diet? First of all, meats and fats, and to a lesser extent, nuts, fatty fruits (e.g. olives, avocados), sweet fruits and berries, and non-starchy vegetables are the foods most compatible with the human digestive system. Cereals and legumes are not digestible unless processed, and even when processed are difficult to digest. These foods contain anti-nutrients that prevent the human gut from assimilating their proteins, minerals, and some of their B-vitamins. Milk products contain lactose, which causes digestive difficulties for may people, and milk is by Nature designed for the nutritional needs of growing non-human animals. Secondly, this True Human Diet provides higher concentrations of the essential amino acids, fatty acids, vitamins, and minerals because it is composed of the most nutrient-dense foods. Third, selecting from the best diet food categories listed above tends to naturally produce a somewhat higher protein intake along with a somewhat lower carbohydrate intake than a diet containing cereals which are low in protein and high in carbohydrate. We have evidence that higher protein diets are more satiating and better for weight loss, weight maintenance, and reduction of diabetes and cardiovascular disease risk factors than lower protein diets . Fourth, studies show that a 'stone age' diet is more satisfying to hunger and produces greater beneficial changes in body composition, metabolic function, and cardiovascular risk factors than conventional diets [2, 3, 4, 5, 6, 7, 8, 9]. Fifth, preliminary evidence indicates that people who eat more in line with the paleolithic diet guidelines have lower all-cause and cause-specific mortality rates . We also have some preliminary evidence that eating in accord with paleolithic diet principles may reduce the risk of colorectal cancer . To get the best diet for you, the general principles of ancestral eating should be adjusted to your individual condition and ecological location. For example, a sedentary woman going through menopause may need a different proportion of plant and animal foods and an emphasis on specific foods that would differ from a physically active man who works outdoors. A person living in a hot climate will need a different proportion of foods than a person living in a cold climate. In addition, Chinese medicine dietetics specifies specific medicinal foods for health conditions. Or, order our Trust Your True Nature Low-Carb Diet Plan e-book for ONLY $5+! 2. Genoni, Angela et al. “Cardiovascular, Metabolic Effects and Dietary Composition of Ad-Libitum Paleolithic vs. Australian Guide to Healthy Eating Diets: A 4-Week Randomised Trial.” Nutrients 8.5 (2016): 314. PMC. Web. 14 Mar. 2017. 3. Jönsson, Tommy et al. “Subjective Satiety and Other Experiences of a Paleolithic Diet Compared to a Diabetes Diet in Patients with Type 2 Diabetes.” Nutrition Journal 12 (2013): 105. PMC. Web. 14 Mar. 2017. 4. Jönsson, Tommy et al. “A Paleolithic Diet Is More Satiating per Calorie than a Mediterranean-like Diet in Individuals with Ischemic Heart Disease.” Nutrition & Metabolism 7 (2010): 85. PMC. Web. 14 Mar. 2017. 5. Jönsson, Tommy et al. “Beneficial Effects of a Paleolithic Diet on Cardiovascular Risk Factors in Type 2 Diabetes: A Randomized Cross-over Pilot Study.” Cardiovascular Diabetology 8 (2009): 35. PMC. Web. 14 Mar. 2017. 6. Fontes-Villalba, Maelán et al. “Palaeolithic Diet Decreases Fasting Plasma Leptin Concentrations More than a Diabetes Diet in Patients with Type 2 Diabetes: A Randomised Cross-over Trial.” Cardiovascular Diabetology 15 (2016): 80. PMC. Web. 14 Mar. 2017. 7. Manheimer, E. W., van Zuuren, E. J., Fedorowicz, Z., & Pijl, H. (2015). Paleolithic nutrition for metabolic syndrome: systematic review and meta-analysis. The American Journal of Clinical Nutrition, 102(4), 922–932. http://doi.org/10.3945/ajcn.115.113613. 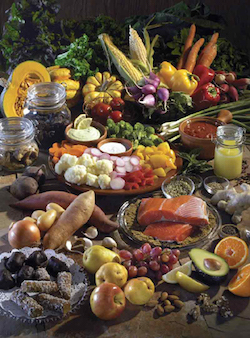 8.Pastore RL, Brooks JT, Carbone JW, "Paleolithic nutrition improves plasma lipid concentrations of hypercholesterolemic adults to a greater extent than traditional heart-healthy dietary recommendations," Nutrition Research 2015 June;35(6):474-479. Abstract. 9. Frassetto LA, Schloetter M, Mietus-Synder M, Morris RC Jr, Sebastian A. Metabolic and physiologic improvements from consuming a paleolithic, hunter-gatherer type diet. Eur J Clin Nutr. 2009 Aug;63(8):947-55. doi: 10.1038/ejcn.2009.4. Erratum in: Eur J Clin Nutr. 2015 Dec;69(12):1376. PubMed PMID: 19209185. 10. Whalen KA, Judd S, McCullough ML, Flanders WD, Hartman TJ, Bostick RM. Paleolithic and Mediterranean Diet Pattern Scores Are Inversely Associated with All-Cause and Cause-Specific Mortality in Adults. J Nutr. 2017 Feb 8. pii: jn241919. doi: 10.3945/jn.116.241919. [Epub ahead of print] PubMed PMID: 28179490.